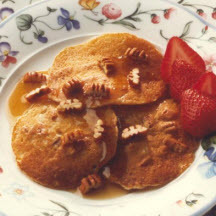 CooksRecipes has quality, kitchen-tested recipes for festive, special occasion and holiday-worthy pancakes that you can count on for successful deliciousness. 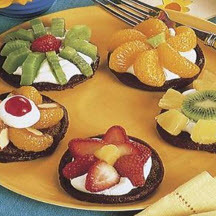 Kids will have fun decorating these mini chocolate pancakes like flowers with pieces of fruit, nuts and whipped topping. Cooked rice is the secret ingredient in these festive praline pancakes with a delicious homemade caramel syrup. 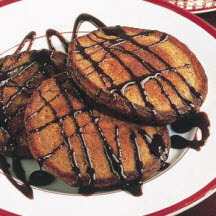 Buttermilk baking mix pancakes get a festive, flavor-make-over with the simple addition of chocolate or strawberry-flavored syrup.